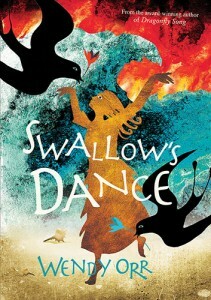 Three Starred Reviews for Swallow's Dance by Wendy Orr! Log Cabin Library calls Swallow's Dance "a wonderful mix of survival and a coming of age story"
“Swallow’s Dance is the fictionalized story inspired by the real events of a hurricane that occurred in 1625 BCE on the island of Thera (now known as Santorini) that resulted in a huge tsunami on Crete and the speculation of whether the people of Thera were able to flee to Crete before the city was buried. Like Dragonfly Song, Swallow’s Dance is told through a combination of prose and free verse. It’s a wonderful mix of survival and a coming of age story. CM Magazine calls Swallow's Dance "an epic tale for all ages"
“Swallow’s Dance is a sweeping tale of courage, fortitude, hardship and perseverance against all odds. It is also a coming of age story, an intimate glimpse into the life of a young girl adjusting to puberty at a time when her family, friendships and her understanding of her place in the world are brutally torn apart. Wendy Orr has crafted a sympathetic, memorable heroine whose struggles and challenges transcend time from the Bronze Age to modern day. Youth will relate to and sympathize with Leira, and readers of all ages will find hope in Leira’s resilience and ability to adapt and move forward despite seemingly insurmountable obstacles. Orr delves into the universal themes of family, love, loss, friendship, status and endurance within an engrossing and moving tale. 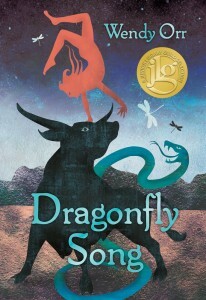 As in Dragonfly Song, Orr includes some of Leira’s thoughts in segments of beautiful lyrical prose that could easily function as stand-alone poetry. While suitable for middle grade students and a wonderful introduction to mythology and discussions surrounding puberty, spirituality, class, mental health, death and disaster, Swallow’s Dance is one of those rare books that is also just a great story, an epic tale for all ages. —Cate Carlyle is an author and former elementary teacher currently residing in Halifax, Nova Scotia, where she is a librarian at Mount Saint Vincent University. Storytime with Stephanie recommends the novel in verse Missing Mike for "all the different types of readers"
“My newest favourite thing is a novel in verse. Until this year, I had never read one before and now I have four under my belt. 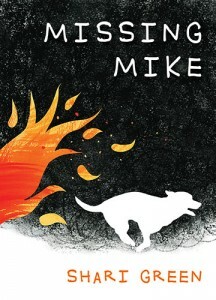 The latest being Missing Mike by Shari Green, published by Pajama Press Inc. I LOVED it! 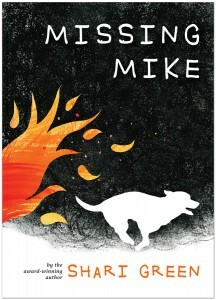 Missing Mike is a fabulous novel in verse set against of the wildfires that devastated Western Canada last summer…. There is so much going on in this story: the fear and sadness of the unknown, the heartache of missing/losing a pet, the separation between siblings as they grow into teenagers. While reading this story you will feel the fear, anxiety, and desperation Cara feels. Shari Green’s writing is so powerful you become a player in the story…. One of the most wonderful things about a novel in verse is the ease through which the reader is guided through the story. Chapters are short, sometimes only a few words long since they are all poems. These verses combine into a beautiful story that flows from one moment to the next. Also, they are a quick read and kind of perfect for all the different types of readers you will encounter. 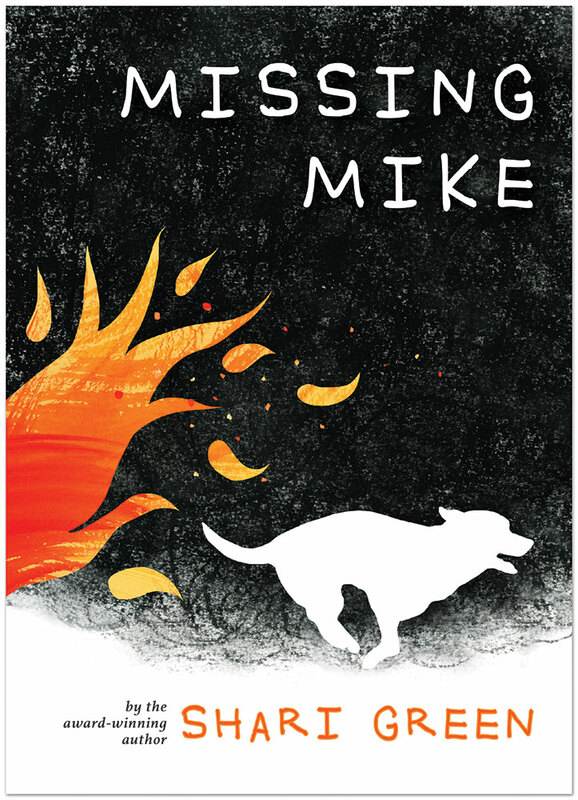 Novels in verse a great for reluctant readers because they feel short and unintimidating. They are great for avid readers as a novel in verse offers a different perspective and a different type of reading journey from the standard prose. A novel in verse is fantastic for dormant readers (once avid readers who no longer read for pleasure) to offer a shake up and something to reinvigorate their reading.